We service all forms of water wells, well pumps, and pressure systems. 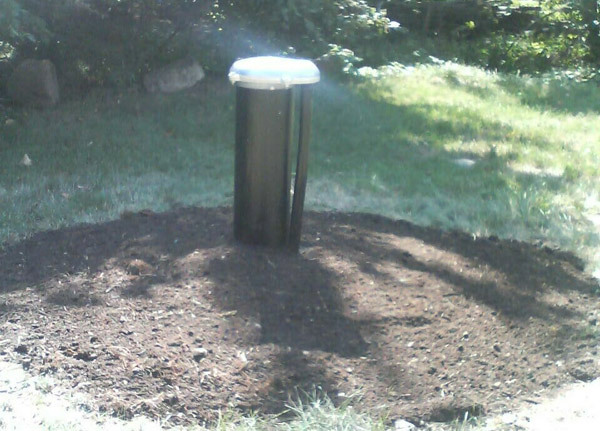 At Flow Water Solutions, weather it is a simple conventional pressure system, to a constant pressure system, we can handle everything from a ½ hp to 100 hp. Our mandate is to find the best solution for each situation. We follow the rules and regulations set out by The Ministry of the Environment ( Reg 903) and the Best Management Practices. *If you live in the Region of Peel, The region is offering FREE Water Well Abandonment. Please check with your local region or municipality if they offer a similar program. 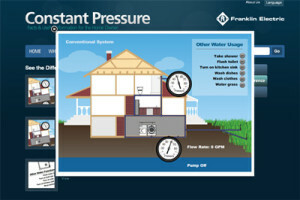 View how a conventional system handles water pressure using multiple household appliances. 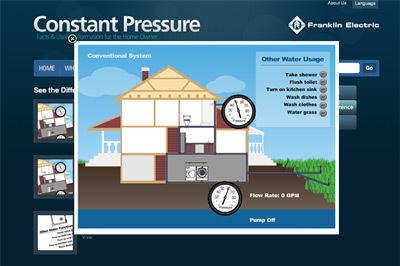 View how a Franklin Electric constant pressure system handles water pressure using multiple household appliances. View an interactive example of how our systems work. View an interactive example of a sprinkler system using both a conventional system and a constant pressure system.